April Release at Graciellie designs and coloring tips and a wonderful new to me Glue!! Spring seems to be finally here in CNY, it is over 30 degrees today ( San Antonio I do miss your sunny skies). We have a beautiful new release, Just in time for spring at Graciellie Designs! 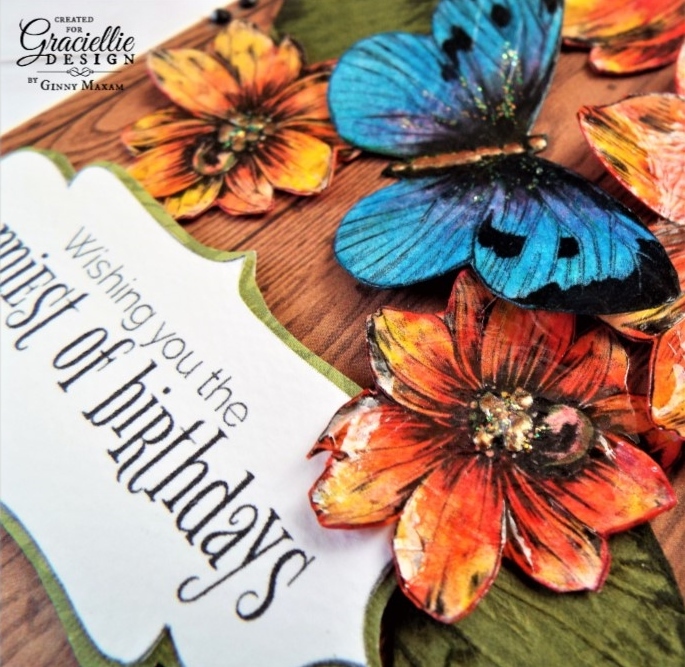 To help celebrate Gracie is giving away a $15.00 Gift certificate to the shop (that is at leat 3 stamp sets) Join in the fun and inspiring blog hop and you might win! You can start here by leaving a comment and leave a comment on every stop of the hop! If you'd like to purchase any of the sets use the 'Ginny10' for a 10% discount! I had a set of colors in mind and I pulled my color wheel out to start pulling pencils: This little system really works for me, I have a LOT of coloring tools and to say I just look at my collection and go to it - would not work for me. While color work is very organic and intuitive I still want order. you can see until I use the blender, the toothy texture is very obvious, After applying the blender pen, the pencil appears to liquify and work together. A New to me product That I absolutely love is this adhesive called 'The Best Glue Ever' and I really think it is, I have to say, I love it, using this one glue, I did not need my hot glue gun, my ATG gun, and my PVC glue. I am especially impressed that this product replaced the hot glue. No burned fingers, no glue webs, and the setup time was just as fast. 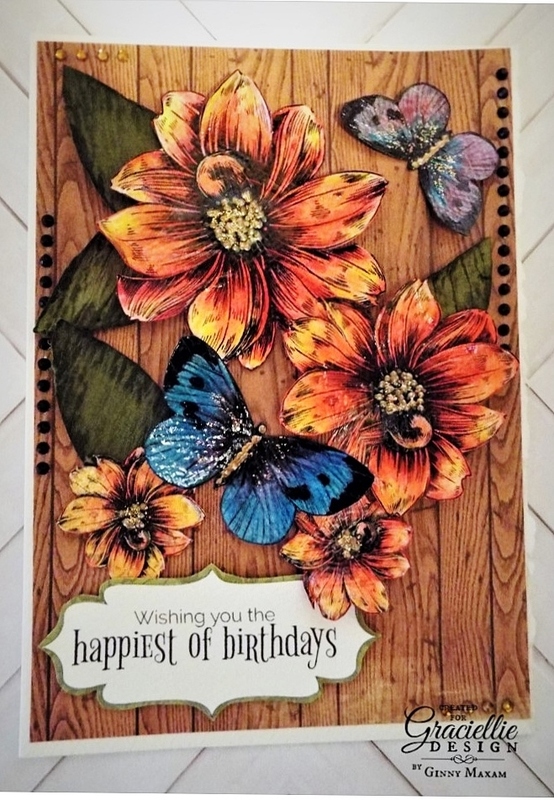 For this card I used paper, card stock, and extra heavy card stock- no wrinkling, buckling and the layers remained perfectly flat, there was no curling. Wonderful!!! Honestly, the price of ATG is just too high when you make as many cards as I do and tape runner pricing is even worse. I hope you join in the fun blog hop and win the $15.00 certificate- that will go along way! Anything I "plug" here on my blog is a product I love and use. After Stamping for over 40 years- I started in high school - I have found things that really work, Stamps, Digitals, Glue, Paper. I am a member of design teams and I really enjoy working with these products, developing my art and helping you develop yours. I don't go down the road of acquiring every new thing on the craft market, I want to develop my talent and skills, I want my art to be about my expression and not about trends and fashion. It is all about the person that will receive my card and doing the very best I can to convey my feelings on paper. It is gorgeous!! Thank you for sharing the blending tips. Just beautiful Ginny! As always great tips! A perfect set for you, flowers and butterfies. You always do a gorgeous job. I have used this glue, and love it also. It's funny how our first "go to" for color may not be the best for a particular paper. It's amazing what that blender does. I love this set and I love the colors you used! Thanks for sharing! How beautiful, your coloring is amazing! Love how you put this gorgeous card together. I will have to check out the 'best glue ever' too lol!! What a gorgeous card. Your coloring is amazing. I love that glue, too. This is amazing. I like how you transform the stamp into a vibrant card. Beautiful card, love the contrast, your coloring and the techniques you used. The result is stunning. Hugs. 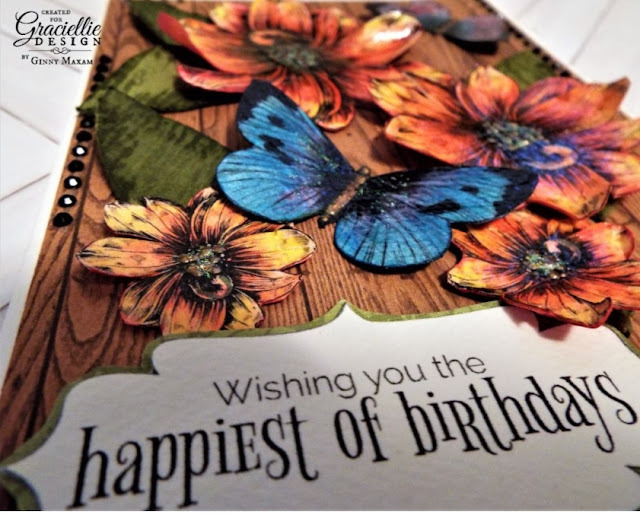 Those are gorgeous flowers and butterflies on your card. 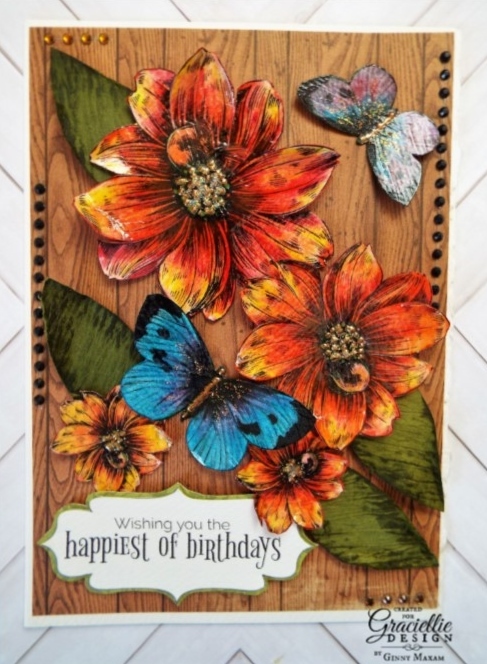 Your card is so beautiful, love your fantastic colouring. On the other hand, each one of those wonderful henna examples, mandalas or even Ryan Gosling (gracious, indeed, there is such a book) fly up out of the blue and I feel my internal shading Goddess cheer. Wawa Art Wednesday a little late! Robins Quilt Block and a fun freebie! Reverse Coloring and Blog Hop! Word Art Wednesday and two freebies!